So far in this lingerie branding series, we’ve looked at Lingerie Briefs and online retailer, Secrets In Lace. Now we are asking; What happens when you want to expand your lingerie brand? It’s important to be strategic when considering expansion. There’s plenty of upside – new market, new customers, and dreaming about the ka-ching dropping to the bottom line. On the flip side, getting expansion wrong can be expensive in both dollars and cost to your established brand’s reputation. You need to evaluate the risks. Before you go rushing off to multiply, it’s important to consider how and when to grow. One way to consider expansion is with a test. Even smarter – doing that test with a partner who stands to benefit while also shouldering some of the cost. The lingerie world recently saw an ideal example of that kind of brand expansion test. 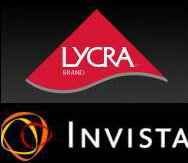 The players were Eurovet – the company that runs our lingerie trade shows worldwide – and INVISTA™, the company that brings us Lycra®. The event was a taste of the famous and highly attended Interfilière, the fabric supplier side of the semi-annual trade shows in Paris,Hong Kong and Shanghai. The exclusive event connected key buyers and retailers with leading global fabric mills using a first-of-its-kind trend presentation format. “The trend presentation allowed us to bring deeper insights directly to the American market and its key players,” states Marie-Laure Bellon-Homps, CEO of Eurovet. In other words, for Eurovet, it was an opportunity to test the viability of bringing the Interfilière fabric show to the US market in the future, most likely in conjunction with Curvexpo. For INVISTA™, it was a chance to share some key innovations in Lycra® directly with the designers and manufacturers who make the fabric decisions for intimates, activewear and swimwear. Both partners won by presenting their benefits directly to the market of pros who stand to gain directly from their products and services. By doing the test as a one-day event, with a select subset of strategically selected mills, expenses and exposure were limited. The event was a success, with great turn-out and a fantastic look at the trends we’ll be seeing translated to garments in Spring/Summer 14 and even looking as far forward as AW15. So, as a retailer, what does this mean for you? First of all, when fabric shows come to North America, it means better access to materials for independent brands that may not otherwise have the opportunity to see the newest fabrics, trims and trends the market has to offer. Access means more choices to eventually find their way into the products you’ll be seeing on the market. It’s also helpful for you, as retailers, to see the fabric market for yourself. These raw materials will ultimately make their way into the lingerie that you will be buying the following season. 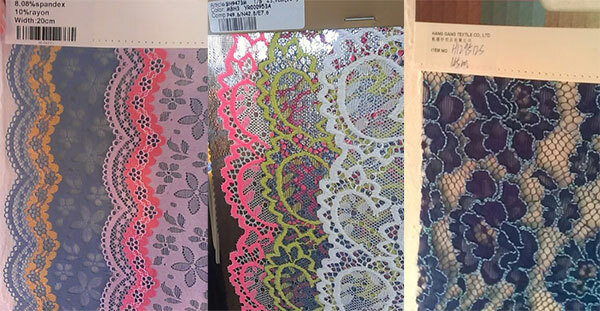 Since fabric is providing some of the most exciting innovation in lingerie, direct exposure helps you better understand what goes into the lingerie you select for your stores. Learning more about the fibers and fabrics that go into lingerie, active-wear and swimwear means being able to explain the difference quality makes to a finished garment. It’s important to understand quality differences and share them with customers in order to justify the premium prices that come with higher-end garments. There is opportunity to upsell more easily when customers understand the value of quality products. The more you, as a retailer, are educated about all aspects of the products you offer customers, the more it enhances your brand. This article originally appeared in Lingerie Briefs.